Barricade Mini delivers the rugged construction and classic, clean design of it’s bigger siblings, but in an ultra-portable size. 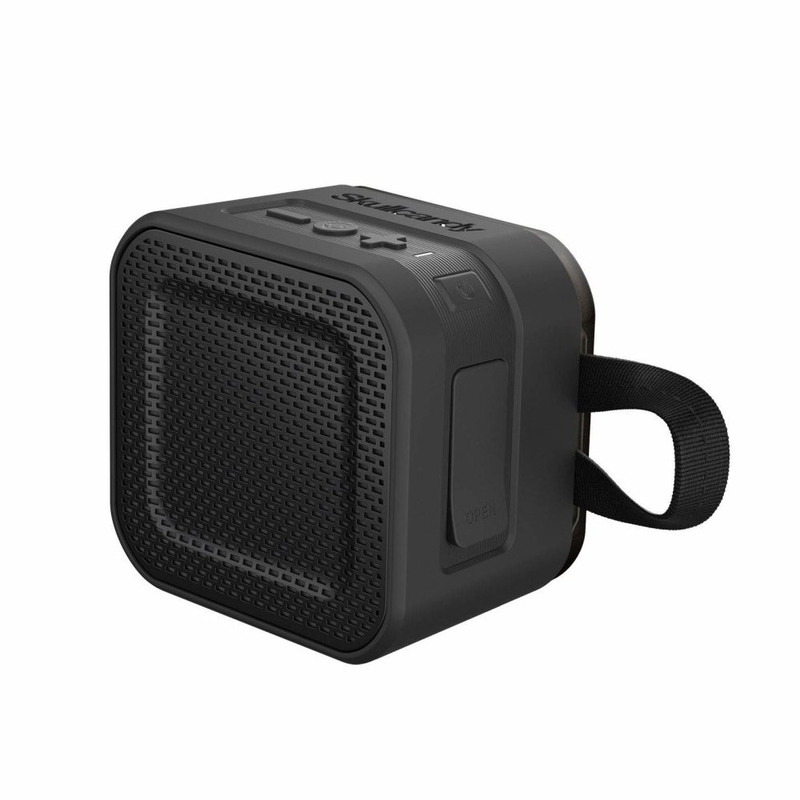 Impact and water resistant, this Bluetooth speaker also packs up to 6 long hours of rechargeable battery life. Barricade mini packs a truly powerful, full-spectrum sound for enjoying music indoors or out. WIRELESS LISTENING: Thirty-three feet of Bluetooth wireless connectivity range and an six-hour battery lets users enjoy music anywhere. IMPRESSIVE SOUND: With emphasis on the low end, a passive radiator helps create impressively powerful and dynamic sound across all types of music. INTEGRATED CONTROL: Take calls, manage music and adjust volume even when not near a phone using the integrated remote buttons and microphone. CLASSIC DESIGN: Despite an adventure-ready design, this speaker is designed cleanly and classically for a look that feels at home in any room of a house.